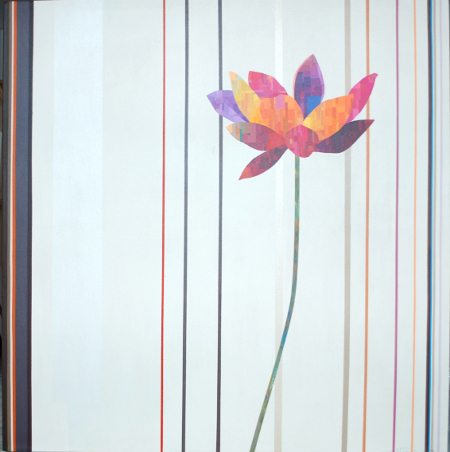 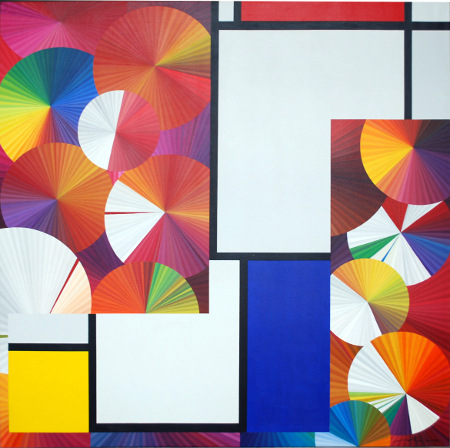 Antoniâ€™s work draws inspiration from the neo-plasticismÂ master, Piet Mondrian, and this influence can be seen in manyÂ of his paintings. 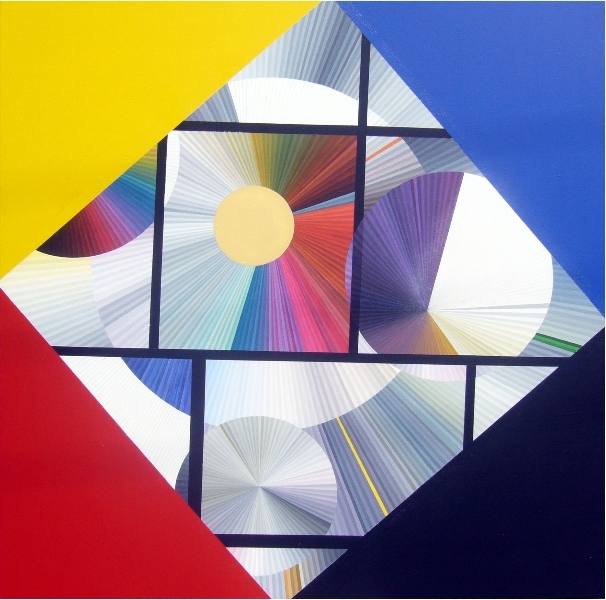 Rather than just imitate Mondrianâ€™s iconicÂ minimalism, Antoni has expanded on it, creating a style quiteÂ unique to this artist. 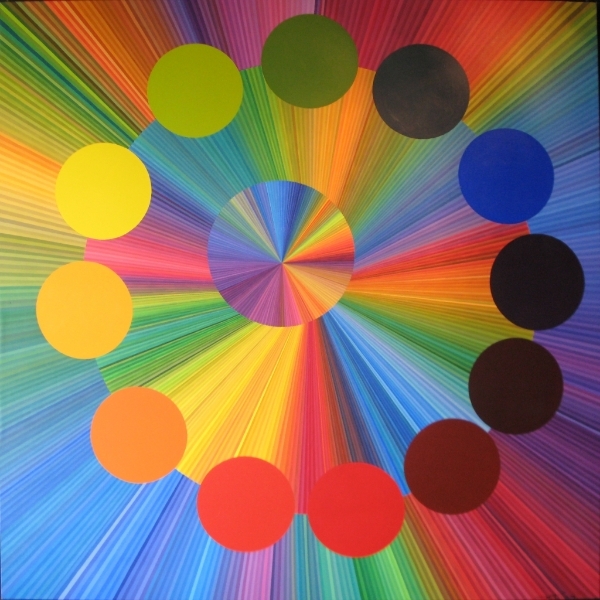 The works of Antoni represent the artistâ€™s own spiritualÂ journey through life, ever searching to give meaning andÂ context to everyday existence. 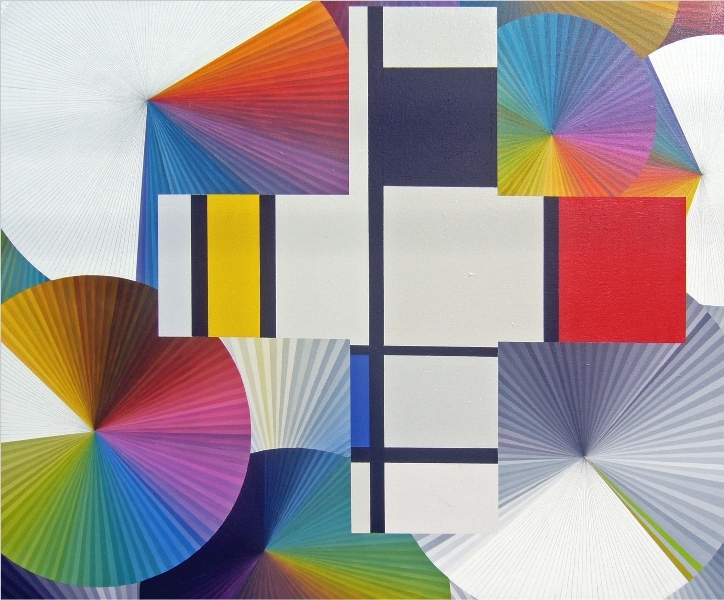 It is this commonality ofÂ human purpose that connects the viewer to the art works,Â along the way allowing oneâ€™s self to be mesmerized by theÂ polychromatic tones and colors, characteristic of many of thisÂ artistâ€™s pieces. 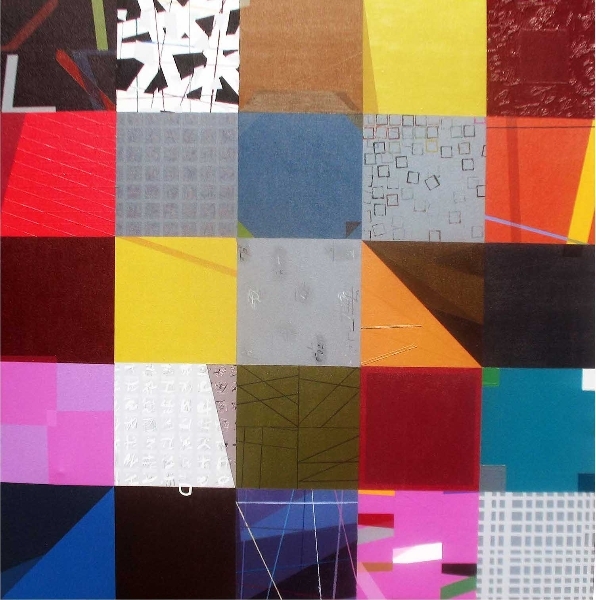 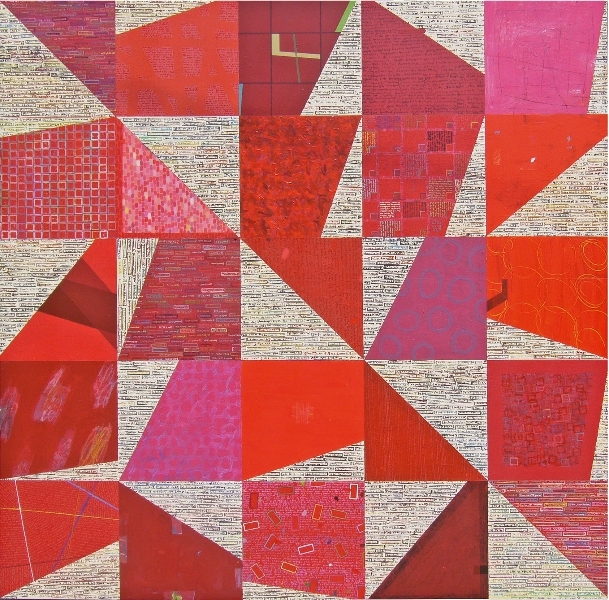 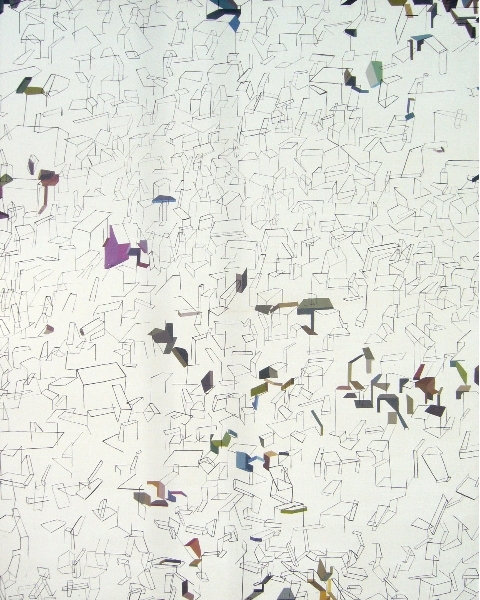 Antoniâ€™s works are currently on display as part of theÂ Yogya Invasion 01: Three Degrees of AbstractionÂ group exhibition, that will be on until July 31, 2012.